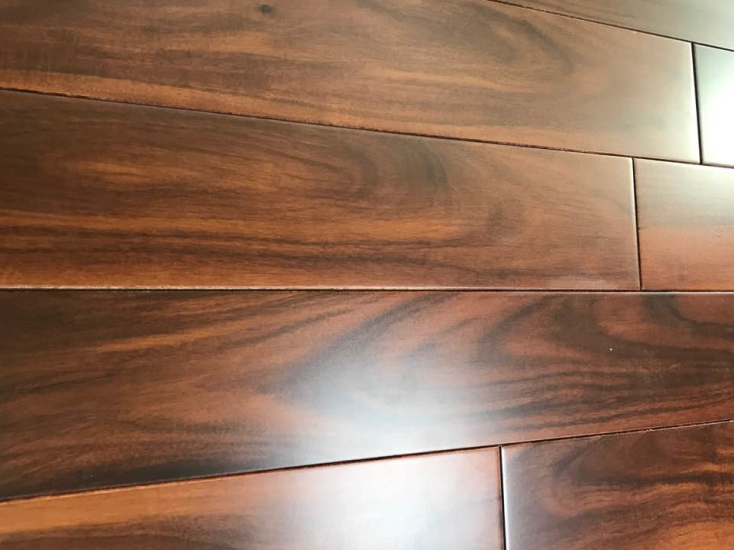 This acacia dark rosewood engineered hardwood flooring comes in better stability than full solid hardwood.Each piece of plank are laminated by 2-3mm sawn cut premier grade chinese short leaf acacia overlay with high quality cross plywood to garantee 25 years plus resiential use. We could mill custom made thickness of 12mm/15mm/18mm per clients request. Thanks to the unqiue black strip swirling grains of short leaf acacia,this rosewood look shares similar elegance as genuine indonesia or vietnam rosewood or patagonian rosewood but with much lower cost. In addition,We are open to customer choice for hand scraped or smooth surface, or even herringbone or chevron parquet flooring designs as well.